The Alternate Routes is one of my favorite bands. They’re local and very soulful. Last year they were asked by the Newtown Kindness organization to write a song to bring awareness to Newtown’s recovery process and this video is the result. It’s a feel good song that you may have heard during the 2014 Sochi Olympics. Here’s to peace, gratitude, hope and all the best in the coming year! The Alternate Routes is an American rock band who’ve been writing songs, playing shows, and touring in their trusty Ford Econoline Van for over a decade. 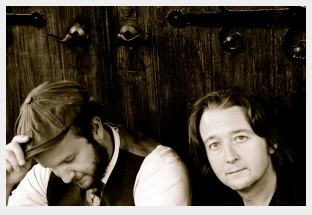 Comprised of vocalist Tim Warren and guitarist Eric Donnelly, these Connecticut boys have brought their music to venues across the U.S., Canada and Europe, and spend a great deal of time writing and recording in their home away from home, Nashville. Our mission is to promote kindness as a guiding principle of humanity. Newtown Kindness is committed to fostering compassion in children and inspiring life-long contributors to society. The organization aims to facilitate acts of kindness within communities as well as raise awareness of kindness through education, sharing and recognition.